Why I’m Not Losing Weight with All the Running? If you are looking forward to shedding off some weight or just reducing the waistline, you should consider running as one of the best exercises. Not only is running an effective way of burning fat in the body, it is also among the most popular weight loss methods in use today. If you are wondering how much running to lose weight can be beneficial to your body, read on to find out. To enhance the effects of this exercise, you may have to combine it with dieting. The weight you lose while running regularly will depend on various factors, such as the time taken running, the size of your body as well as your weight loss objectives. As such, you will have to clearly set your weight loss objectives so as to understand the number of miles you need to run to lose a certain amount of weight. On average, you are supposed to burn 3,500 calories in order to lose 1 pound. 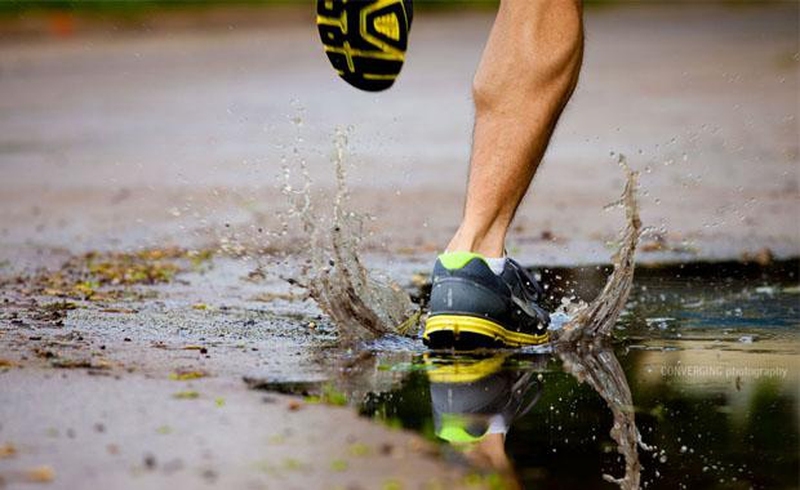 12 miles of running will burn approximately 100 calories. As such, to lose half a pound in a week, you should run about 17.5 miles in a week. To realize this level of weight loss, ensure that you consume just the enough calories to offer energy for the running exercise. Otherwise, you will have a slower rate of weight loss. Again larger bodies tend to burn more calories while running as compared to the smaller bodies. For instance, at the rate of 10-minute mile, a 155-pound heavy person will burn about 124 calories for every mile covered, while a 185-pound heavy person will burn about 148. A newbie to the exercise will also burn more calories per mile as compared to someone who has been running for a while. To lose weight through exercises, including running, you must burn more calories than you consume. This simply implies that the running should be coupled with dieting for it to be effective as a weight loss remedy. To achieve this and still lose weight, it is advisable that you opt for smaller portions of high-calories and high-fat foods. You should also couple these with a lot of fruits, whole grains and vegetables. A few runners find it hard to lose weight simply because they consume more calories than they burn. To prevent this, you will need to keep track of what you eat every day by writing it down in a journal. It is also essential to regulate your diet if you are running and preparing for a long-distance run. This will go a long way in improving your performance on the material day. The eating time is also important if you would like to lose weight while running. For instance, you should not skimp on calories during, before and immediately after the run as this may interfere with your performance during the event and the recovery. For many people, how many miles should I run a day is the main point of concern when it comes to weight loss. However, the period you run is not all that important. To enhance weight loss through running, you should incorporate speed run exercises in your workout routine. This increases the rate at which fat is burned in the body and increases body metabolism while resting, hence promoting calorie burning throughout the day. Additionally, combine the speed run sessions with other mild exercises, such as body squats or pushups. You may also include pedestal or plank exercises in the program in a bid to boost your core strength. Just like with any other form of training, a single running exercise will not lead to weight loss or any other benefit for that matter. Instead, you should exercise regularly and adhere to your training schedule. Running regularly will also help you avoid injuries associated with skipping workouts. While it is advisable to increase your running mileage with time, you should do it gradually. If you cannot follow preset schedule, you should still remain consistent with your running schedule and run at least 3 times a week. As opposed to the cardiovascular system, the tendons, bones and the ligaments will require some time to adapt to your training routine. Training consistently for a while will make the body adapt to the exercises. It is after the body has adapted to the exercises that you should increase the intensity of the exercises. For instance, you could run six miles three to four times in a week for about three weeks for the body to get used to the exercises. How much running to lose weight is the question that many people have after running for a while and not realizing any weight loss. Mentioned below are some of the factors that may be hindering you from losing weight despite your running exercises. After exercising with the same intensity for a while, the body will become used to the exercises. As such, an exercise that was initially difficult to achieve will become easier. When this happens, the metabolic rate in the body also becomes constant, despite your running endeavor. This will not result in weight loss. This is particularly the case with cardio exercises. To burn more calories that you eat, it is advisable to push the body to its limits. This is why you should increase the intensity of your exercises after some time, say two to three weeks. It is normal for the body to pick up a pace that it can maintain for the chosen distance. This may help with regards to endurance, but will not be of much help in weight loss. This goes back to the same thing, the intensity of the running exercise. Based on a research published in the Journal of the American Medical Association, running for an hour at a speed of 3mph will help you maintain your weight. As such, you will have to work harder if you are to lose any weight. Rather than focusing on the distance you cover while running, you should focus on the intensity of the exercise. The calories in the body are not only burned by exercises. Even while sitting, sleeping or just relaxing, the body burns a certain amount of calories to maintain its normal functioning. However, you need to exercise to remain healthy. Additionally, the type of exercises you take part in will determine the amount of calories will require. For instance, weights will increase the muscle mass, hence increasing the daily calorie requirement by the body, even when not exercising. Since muscle is important in burning more calories in the body and realizing your weight loss goal, you should incorporate other types of exercises to push the body to the limits as well as build muscle mass. This implies that running alone may not be enough to shed off that extra weight. As such, you should come up with a weight-loss strategy that will work for your case. In doing so, you should consider incorporating other forms of cardio exercises, such as cycling or jogging, into the workout routine. This may sound weird for many, but running too much could be making it impossible for you to lose weight. While exercising is healthy, overdoing it could stress the body, hence affecting the hormone balance in the body. This may end up impairing the effectiveness of your exercises in weight loss. Basically, exercises lead to production of cortisol hormone in the body. Though not harmful in small amounts, over secretion of this hormone can result in insulin resistance. This resistance, in turn, leads to buildup of belly fat.